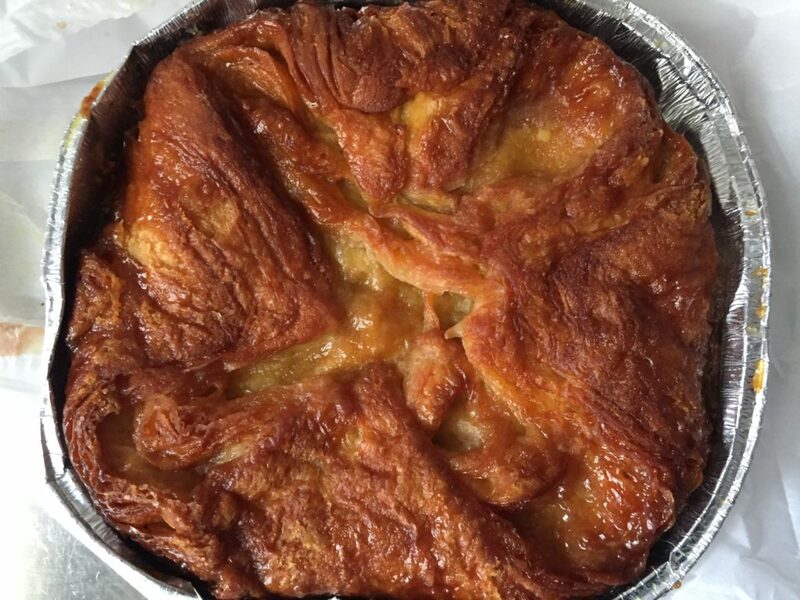 A kouign-amann, not to be confused with former United Nations Secretary-General, Kofi Annan, is perhaps the most buttery of bakes ever concocted. While Mr. Annan arrives by way of Ghana, this round breaded wonder traces its origin to the French Bretagne coast. No one’s exactly knows how this “cake of butter” came about but for sure it originated in Brittany, France. Traditionally the disc of dough is the size of a pie plate containing layers and layers of dough mixed with butter and sugar that, after many folds, is slowly baked. For the finished product, think caramelized croissant. Yes, you can get a muffin-sized equivalent at Dominqe Ansel in New York City. 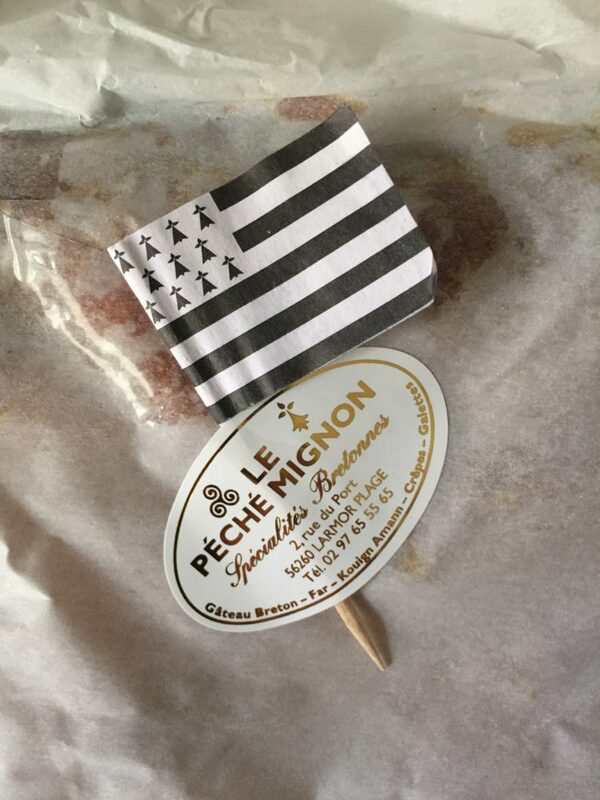 It’s excellent (it’s hard to go wrong with the kouign-amann ingredient mix) but it’s no replacement for the original from Le Péché Mignon, which, in it’s unassuming tin-foil-try, makes its way with my friend on his long journey from Larmor Plage to a brief stay in NYC before being devoured by my posse of Francophiles. Ah, when you can’t get to France it’s good to get France to you.